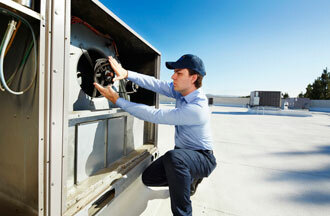 Looking for reliable and cost-effective commercial HVAC and mechanical services? Give us a call! We know the greater Tampa Bay region, including: Tampa, St. Petersburg, Clearwater, Brandon, Largo, Sarasota, Bradenton, Wesley Chapel, Land O’ Lakes, Zephyrhills, Lakeland, Dunedin, Lutz, New Port Richey, Tarpon Springs, Temple Terrace, Riverview and everywhere in between. We have been serving Hernando, Hillsborough, Pasco, Pinellas, Manatee, Sarasota, and Polk counties since 1979. Whether you need HVAC service ASAP or want to explore our unique offerings to reduce operating costs, we have the experience, people, and solutions to help. As one of the largest commercial HVAC companies in Tampa, we offer a wide range of services, including HVAC preventative maintenance, HVAC retrofits, energy savings performance contracts, and building automation and controls. We also work closely with local governments to provide solutions (energy, technology, and manpower) to lower operating costs related to infrastructure by greater than 20% while ensuring asset modernization for energy efficiency, workforce productivity, and innovation. We customize programs based on your needs and financial constraints to optimize scarce financial and labor resources during difficult economic times, with the goal of improved service performance and sustainability. We have hundreds of satisfied clients in the greater Tampa Bay area. Our customers have experienced many benefits including increased energy efficiency, enhanced comfort and safety, guaranteed energy savings, and reduced operational costs. We provide solutions for a number of buildings from commercial to industrial to municipalities, healthcare, non-profit and educational facilities. ABM’s budget-neutral financial solutions enable projects to be funded through a reallocation of current and future owning and operating costs, while maximizing facilities’ energy efficiency and lowering overall annual costs. How? Through the guaranteed savings of our Energy Performance Contracts, you receive maximum energy and technical facility improvements with net-zero impact to your existing operating budget! In addition, owners and operators of privately owned buildings in Florida can now preserve capital to meet their mission critical objectives through the Property Assessed Clean Energy (PACE) program. The PACE program can be used to fund costs associated with energy efficient building upgrades equal to about 20% of the property’s value. Find out more about how we can help you with all your commercial HVAC, mechanical and refrigeration services and energy retrofits needs today! ABM (NYSE: ABM) is a leading provider of facility solutions with revenues of approximately $5.1 billion and over 130,000 employees in 350+ offices throughout the United States and various international locations. ABM’s comprehensive capabilities include janitorial, electrical & lighting, energy solutions, facilities engineering, HVAC & mechanical, landscape & turf, mission critical solutions and parking, provided through stand-alone or integrated solutions. ABM provides custom facility solutions in urban, suburban and rural areas to properties of all sizes – from schools and commercial buildings to hospitals, data centers, manufacturing plants and airports. ABM Industries Incorporated, which operates through its subsidiaries, was founded in 1909. For more information, visit www.abm.com.